After enlisting the help of Bruno Mars and Kodak Black for "Wake Up in the Sky" in September, Gucci Mane has now given the single the music video treatment. 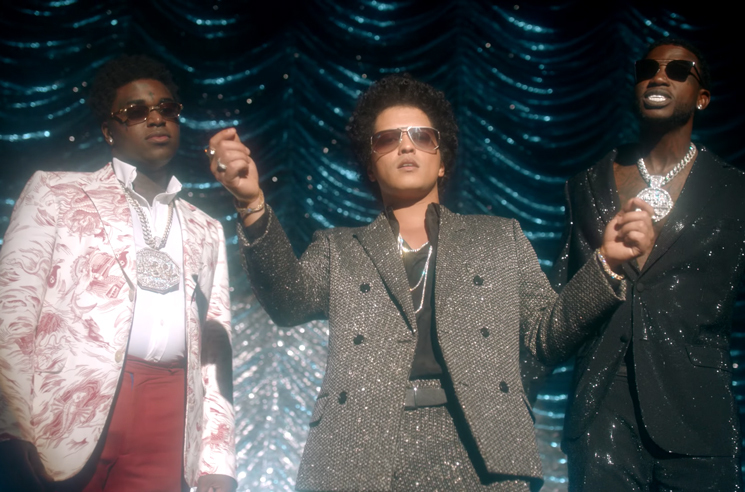 Directed by Mars and Florent Dechard, the clip finds the three collaborators dressed as lounge singers, with Gucci and Bruno's sparkly suits rivalling their equally shiny surroundings. Earlier this year, Gucci Mane shared his "Solitaire" single featuring Migos and Lil Yachty.